The Phone, FaceTime, and Messages apps get minor improvements to both their interfaces and feature-sets. The Phone app gets new buttons, FaceTime Audio makes its official debut, and Messages has a few new features hidden behind its swipe and tap gestures. 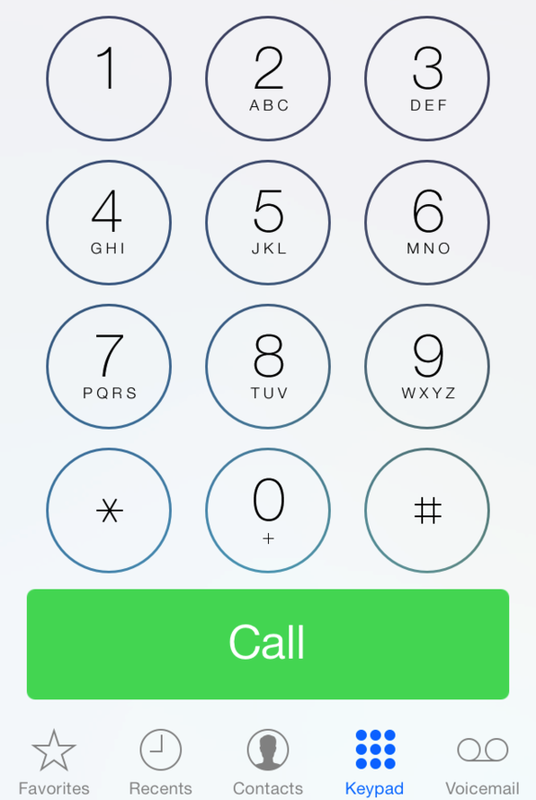 The Phone app has a larger button pad in iOS 7. 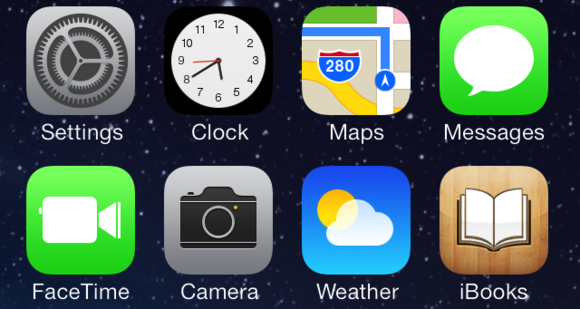 Aside from interface, the Phone app has changed very little since its iOS 6 incarnation. Contact thumbnails appear next to people in your Favorites list. In the Keypad tab, Apple has eliminated the Add Contact and Delete buttons in favor of a bigger number pad; both these options appear after you begin tapping out a number. When you’re receiving a call, the Decline and Answer buttons no longer have handset icons on them. iOS 6’s menu for replying to a call with a message or reminder has been eliminated, replaced with two large buttons that say Remind Me and Message, respectively. Though the FaceTime app looks similar to its prior incarnations on the iPad, it’s new to the iPhone in iOS 7; previously, you could only access FaceTime through the Phone or Contacts app. 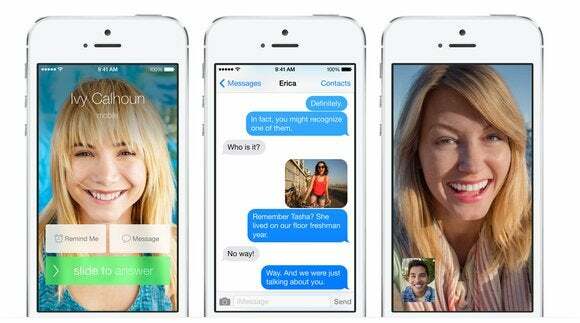 Apple’s video chat service has its own app on the iPhone in iOS 7. 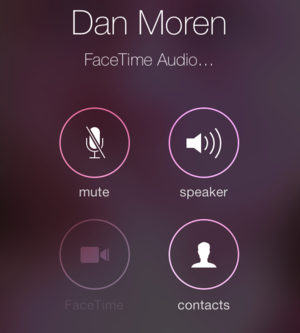 On the iPhone, the app displays your FaceTime favorites, recent and missed calls, and contacts list, with a blurred front-facing camera image as its background. The iPad in iOS 7 shows an unblurred front-facing camera image, with a blurred pane for favorites, recents, and contacts on the side. Don’t want to video chat? Use FaceTime Audio to chat with your friends. The FaceTime Audio option (currently Wi-Fi only) is new on both iPhone and iPad; if you and your friend are both on iOS 7 and Wi-Fi, you can eschew placing a phone call and instead use the free FaceTime Audio Voice-over-IP solution. You can make a FaceTime Audio call from your Phone favorites, the Contacts app, or the FaceTime app. When you’re on a FaceTime Audio call, it’s visually very similar to a regular phone call: The only buttons missing are the one that triggers the number pad and the one for adding more callers to the call. While the Messages app gains no major new functionality, its redesign is pleasant on the eyes and full of hidden delights. View all conversation timestamps by swiping to the left. When in a conversation, for example, your blue, green, or grey message bubbles bounce and stretch as you scroll up or down, and they get lighter as they edge toward the top of the screen. 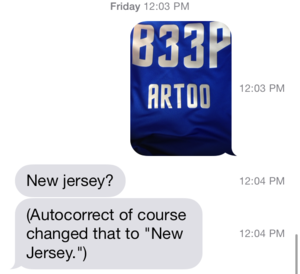 The app’s traditional occasional timestamps remain, but you can also reveal message-by-message timestamps by dragging to the left. Editing and forwarding messages is similarly hidden in iOS 7: To do so, tap and hold the message until the More button appears, then tap it to enable Edit mode. Grey circles appear to the left of each message, with a blue checkmark next to the message you tapped on. You can delete or forward this one message, or select multiple messages by tapping on their circles. If an iMessage is having trouble sending, you can tap and hold to send it as an SMS (or send it to the person’s email address). If an iMessage fails to send entirely, however, your device will now prompt you with a notification banner—even if you’re in another app. If your iMessage doesn’t go through, your device will warn you. When viewing images or video from a conversation, Messages offers a new way to view them all in abbreviated form: Tap the image in question, then tap the list button. It displays all multimedia within the conversation, including their file type and size.